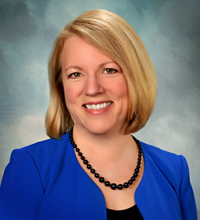 Christine Goertz, DC, PhD, is the Chief Executive Officer of the Spine Institute for Quality. She is also President of Christine Goertz LLC and an Adjunct Associate at the Department of Orthopaedic Surgery, Duke University Medical Center. Prior to joining Spine Institute for Quality, she was vice chancellor of research and health policy at Palmer College of Chiropractic for 11 years. Her 25-year research career has focused on working with multidisciplinary teams to design and implement clinical and health services research studies designed to increase knowledge about the effectiveness and cost of complementary and integrative healthcare delivery. She has extensive experience in the administration of Federal grants, both as a principal investigator and as a program official at the National Institutes of Health (NIH). Goertz has received more than $30 million in federal funding as an investigator, primarily from NIH and the Department of Defense. Her areas of focus include the investigation of manual therapies for spine-related disorders, and integrative healthcare for cardiovascular disease. Goertz serves on the Board of Governors for the Patient-Centered Outcomes Research Institute, where she has assumed numerous leadership roles, and is a member of the NIH/NCCIH National Advisory Council. She also chairs the American Chiropractic Association’s Committee on Quality Assurance and Accountability. Goertz received her Doctor of Chiropractic degree from Northwestern Health Sciences University and her PhD in health services research, policy and administration from the University of Minnesota.